A dynamic website content is flexible, and not fixed. Dynamic website handles complex websites with lots of pages. You can easily update website content without HTML knowledge. It is best suitable for service firm, online-shops, trading etc. Our Company is the best Dynamic web design company in Patna provides end-to-end solutions for dynamic website design and development. It gives you a competitive advantage. With a blend of extra creativity and resourcefulness, your website becomes more interactive and user-friendly. You can freely access your website without the need of any webmaster. You can add, subtract, manage the content and videos anytime. There are no limits or restrictions based on the number of pages to be used. It saves your precious time. 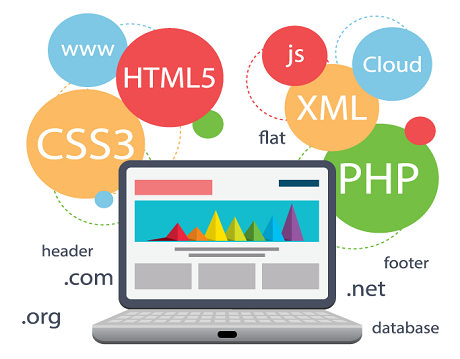 We design different types of dynamic database driven website like Dynamic e-Commerce Website, Dynamic e-Business Website, Dynamic Knowledge Base Website, Dynamic Jobs Database, Dynamic Resume Database, Dynamic Member-only sites, Dynamic Intranet and Dynamic Extranet, which enables your website to run flawlessly. Dynamic web design Services, Bihar helps in boosting your sales. It also helps in developing your brand awareness among a wider audience. With dynamic web designing services, we provide a high level of flexibility and resilience for owners as well as dealers, which in turn assist in targeting the niche user to access the product in different formats. Our services are complete strategic communication solutions, which displays thousand of your products online. Moreover, our dynamic designs are beneficial in search engine optimization. Our professionals are masters in creating, attractive dynamic websites like ASP, ASP.net, PHP, JSP, AJAX etc.